Stay up to date on all of Nth Dimensions upcoming events! CALL FOR ABSTRACTS! - Submissions due June 29th! Please review the abstract submission guidelines carefully before submitting your abstract. Abstract titles must be in ALL CAPS. The maximum number of characters is 5250, including spaces. After review, the Scientific Program Committee will make the final decision as to an abstract’s format of podium, poster or e-poster presentation. Generic drug and device names may be used, but commercial (product, brand) drug and device names are not allowed anywhere in the presentation. Authors may edit and modify their online abstract submission until the abstract submission deadline of June 29th, 2018. Abstracts published before the submission deadline of June 29th, 2018, are not eligible for presentation at the PRiSM Annual Meeting. Presenters of accepted abstracts are only allowed to present a maximum of two (2) podium presentations and one (1) poster presentation and must register for the full conference and pay applicable fees. The abstract submission deadline for the PRISM 6th Annual Meeting is Friday, June 29th, 2018. Open to all active medical students in the United States and Puerto Rico. Student Symposium Housing Grant this is what you need.. Application Deadline - January 4, 2019 at 11:59pm Eastern. If you are interested in applying for the Nth Dimensions Summer Internship this is what you need..
Curriculum Vitae, Short Video, Transcript, Letter of Good Standing, 2 Letters of Recommendation, Recent Photo. This course will cover hip, knee and shoulder arthroplasty as well as trauma, biologics and sports medicine. Drs. Charles Jobin and David Schneider are rounding up our course chairs. This course is designed for PGY 3-5 but it is open to all residency years. *Note that resident airfare and lodging costs will be covered by Zimmer Biomet. *Question and Answer Mentoring Call for February is canceled. 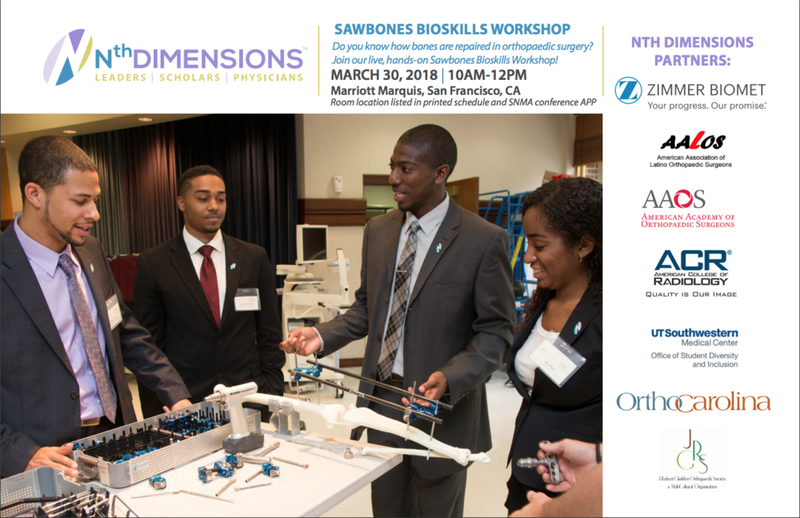 April 2018: Nth Dimensions will host bi-monthly calls for medical students. February 2018: December 2017: Nth Dimensions will host bi-monthly calls for medical students. June 2018: Nth Dimensions will host bi-monthly calls for medical students.